IS 2019 YOUR YEAR – YOUR YEAR TO FINALLY SELL YOUR HOME? Maybe the kids are gone and you are ready to downsize to something more convenient, or perhaps you and your family have out grown your starter home and are ready to upgrade! No matter the reason, it is a great time to be a seller in this hot Florida market. In today’s “seller’s market”, good inventory is often low so often if your home is staged well, clean and priced right, multiple offers can ensue from multiple buyers! The busiest time of year for buying and selling is right around the corner (Spring/Summer). If you think you’d like to make the leap, then we are committed to helping you achieve your goals. Contact us today and we will set you up with an agent serving your area to give you a free Comparative Market Analysis and listing presentation. Our agents can provide you tips to make your home sell faster and if you list with us, we will make sure your home is listed in the MLS (Multiple Listing Service), along with a multitude of external sites such as Zillow, Trulia, Realtor.com, Homes.com, etc. to get the best exposure to buyers. 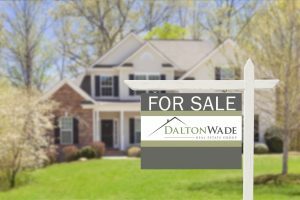 Our professional trusted REALTORS® are committed to getting you the most money possible for your sale and can even assist with finding that new home to purchase for your downsize or upgrade! That’s the Dalton Wade Difference.